717 Texas Avenue building has been refinanced. HOUSTON – Goldman Sachs provided $163.5 million to refinance the 717 Texas Avenue building in downtown Houston on behalf Hines and Prime Asset Management. JLL’s Executive Managing Director Tom Melody and Senior Vice President John Ream led JLL’s capital markets team on the financing. The 33-story, 696,000-SF trophy office tower is located at the corner of Texas Avenue and Milam, next to the block where the Houston Chronicle building once stood. Originally developed in 2003, the 717 Texas building was developed by Hines. While the building was still under construction, country music star Jerry Jeff Walker performed at a Hines event in the partially constructed tower. 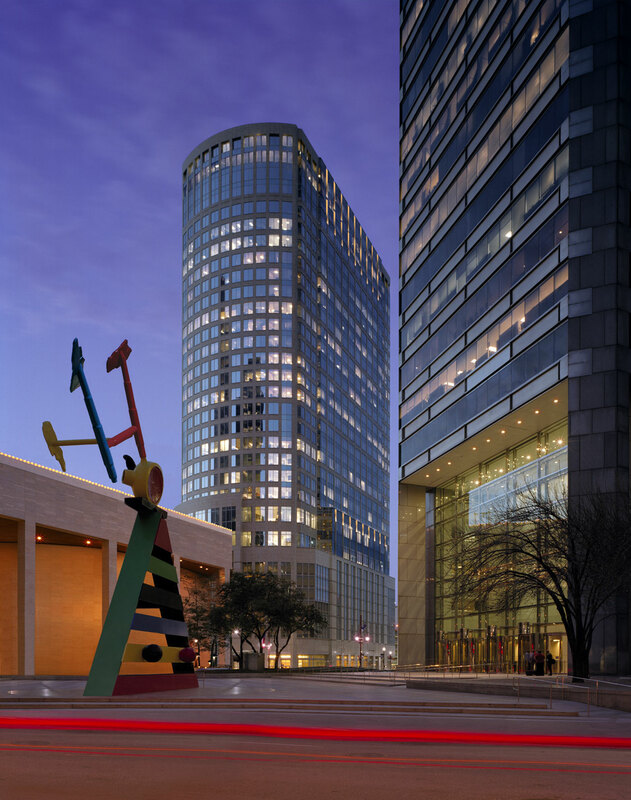 It was the first high-rise office building in Texas to earn a LEED Platinum Certification. The building was once known as the Calpine Center. 717 Texas had been fully leased for more than a decade; however, a major tenant, Freeport McMoRan, recently vacated 366,000-SF leaving the building at about 50 percent leased.